Tristan Thompson has made quite a name for himself as the hustle guy on the Cavaliers, but now Thompson and the Cavaliers are not in agreement on his next contract. Thompson accepting the qualifying offer of 6.8 million dollars may be good for the Cavaliers today, but Thompson will likely seek more money as an unrestricted free agent in 2016. While Thompson does come off the bench, he is one of the Cavaliers best and most important players. Thompson led the Cavaliers in offensive rating with 121, finishing above stars including Kevin Love, Kyrie Irving, and even LeBron James. 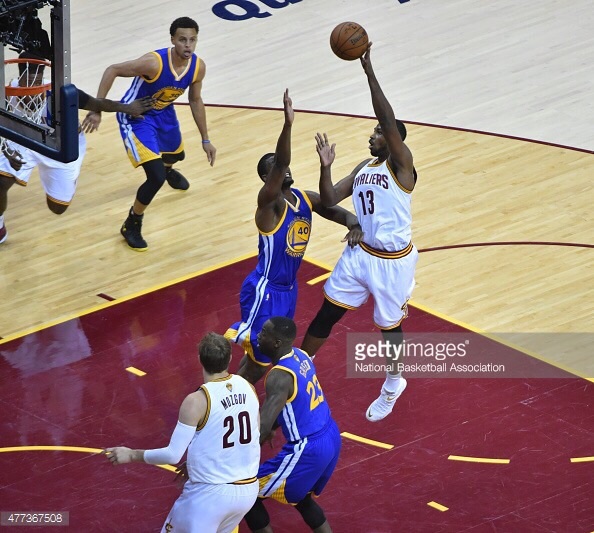 Thompson finished 4th in offensive win shares, and 3rd in defensive win shares on Cleveland. During the playoffs it was a similar story. Thompson finished second in offensive rating behind only sparingly played Mike Miller, and among qualifying players, Thompson had the highest offensive rating in the NBA Playoffs at 128. To say he doesn’t have an impact on the Cavaliers couldn’t be further from the truth. This is great news for teams like the Bulls, Wizards, Heat, Hawks, and Bucks, who are all top teams in the East with the goal to beat Cleveland in the playoffs. It was Thompson against the Bulls who exposed their rebounding and hustle deficiencies. Thompson against Atlanta bullied Paul Millsap, holding him to 34.9% shooting and 11.1% three point shooting. If Thompson could do those things against the all-star big men like Pau Gasol and Paul Millsap, he could certainly do these types of things against more average level bigs. No one else on the Cavaliers hustles even close to as much as Thompson. Losing Thompson, coupled with LeBron James turning 31 this year, and 32 by 2016, is bad news for Cleveland. Cleveland went all-out in win-now mode by trading their first round picks for Timofey Mozgov, and Cleveland couldn’t even beat Golden State with Thompson, how could they without him?